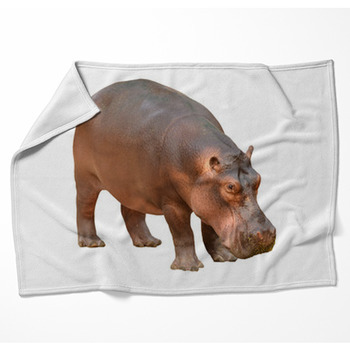 Our hippo blankets showcase an animal adored by children because they're so huge and bizarre looking, and go easily from water to land. 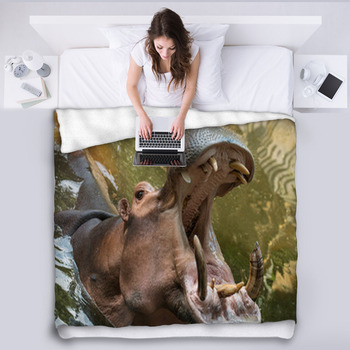 The clumsiness, enormous size and strangeness of hippos make them an ideal inspiration for cartoons, which we feature on our fleece blankets. 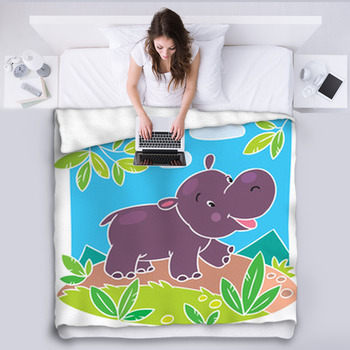 With their huge eyes and round faces, baby hippos are as cute as any creature can be, making our blankets that picture illustrations of young hippos a fun and friendly addition to your kids' rooms. 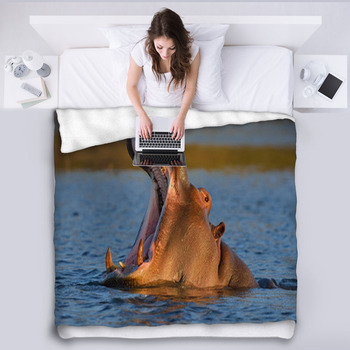 Start off with a woven blanket that displays a whole family of hippopotamuses crouching together in fright against a background colored with streaks of white and baby blue. The father hippo is huge and purple, while the mother and little boy are gray. For more laughs, go with a throw blanket that exhibits a cartoon superhero hippo. This silly turquoise hippo just realized that he's too big to fly, as he falls by you and squeals in his red cape, blue shirt and golden belt. 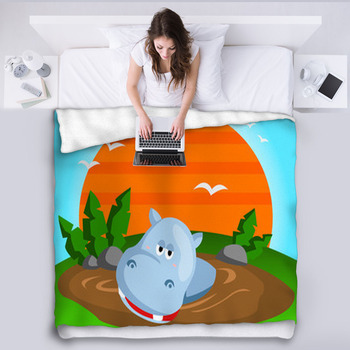 Give your little girl a hippo blanket that shows a shy lady hippopotamus shading herself from the sun with a pink parasol as she stands on a green hill. 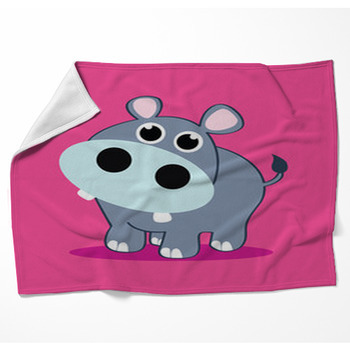 This cute hippo girl is looking away timidly with her black eyes as she blushes pink on the violet skin of her nose, cheeks and belly. 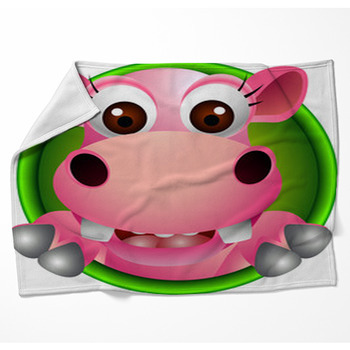 Another pink hippo is shown floating into the sky as she hangs onto a little neon green balloon. 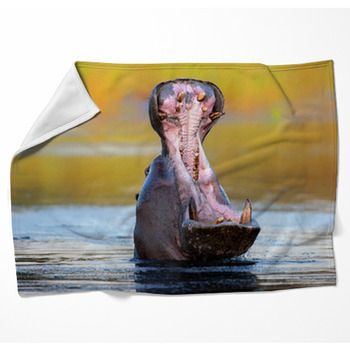 Your little boy will love a fleece blanket that shows a male hippo looking up with surprise as a pair of young brown beavers play cards on his wide back. 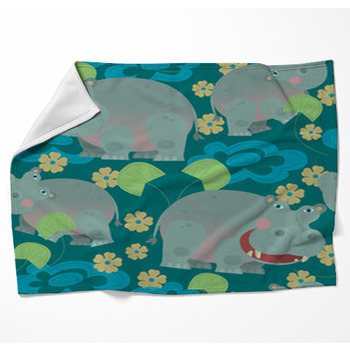 Other hippo blankets that depicts a hippo with an another cute animal friend include a hippopotamus in green swimming trunks that are adorned with purple hearts. A green turtle is standing nearby and smiling as he holds three green, orange and red balloons in his mouth as a gift for his big buddy. 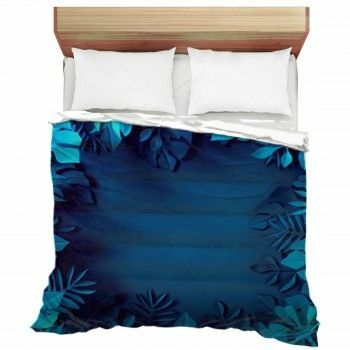 Give your kids a bedroom decor filled with their favorite animal by selecting our hippo themed pillows and rugs as well.